If you work on the internet, you probably have heard of Slack - or you may already be using it to communicate with your team. Slack is undoubtedly the most popular collaboration app, but there are certain features that you might be missing, or it the premium version might be out of your budget. Here are the top free Slack alternatives that will help you organize your team and communicate with your colleagues. What are your favorite Slack alternatives? Glip is probably one of the best Slack alternatives we tested. 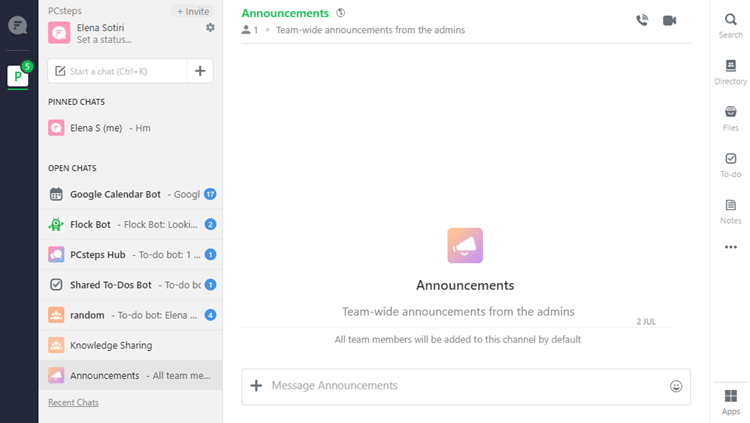 At first glance, Glip looks precisely like Slack, with the team channels on the left. What makes it different is the calendar and task integration, that works flawlessly and takes the app one step further on team collaboration. Glip's task management system allows us to assign the tasks to our teammates, add due dates, and start conversations based on the task. The service is entirely free for unlimited members, with unlimited posts, storage space, and integrations. With a paid plan that starts from $5 per person per month, we have more video chat time, advanced administration controls, 24/7 support, and so on. Flock is one of the sleekest Slack alternatives with a very modern design and plenty of features. In Flock's environment, we will find a chat list on the left, as well as tasks, notes, calendar, and file manager on the right. A fundamental feature that seems to be missing from all the other free Slack alternatives we tested is read receipts. In Flock, you can activate or deactivate read receipts with a simple setting. The software is free for unlimited users, and it provides 5GB of space. It also offers unlimited message history and integrations in the free package. 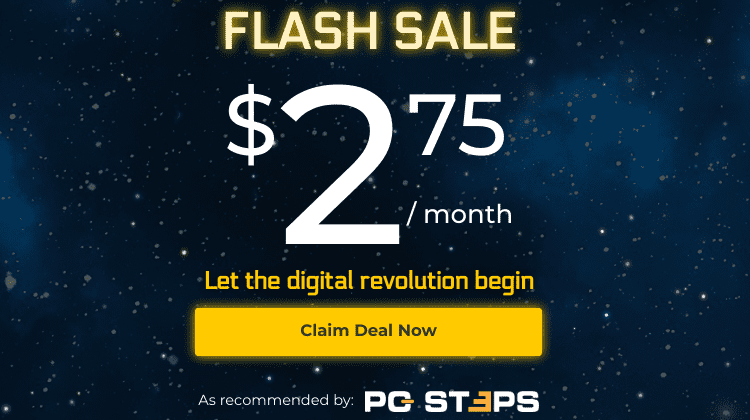 Paid plans start at $4.5 per user per month. With Ryver, it's like putting Trello and Slack into one service. The main screen has all the forums and direct message channels on the left - just like Slack - and on the same side, we can find the Task Stream. We can view tasks in kanban style or lists, which makes it easy to organize our priorities and collaborate with our team. If your team consists of 6 users or less, then Ryver is entirely free. With $99 per month, you can have unlimited users with no other restrictions. Ryver also offers free accounts for non-profit or educational organizations. Bitrix24 is a more post based tool that focuses on providing you with the necessary details to start working. 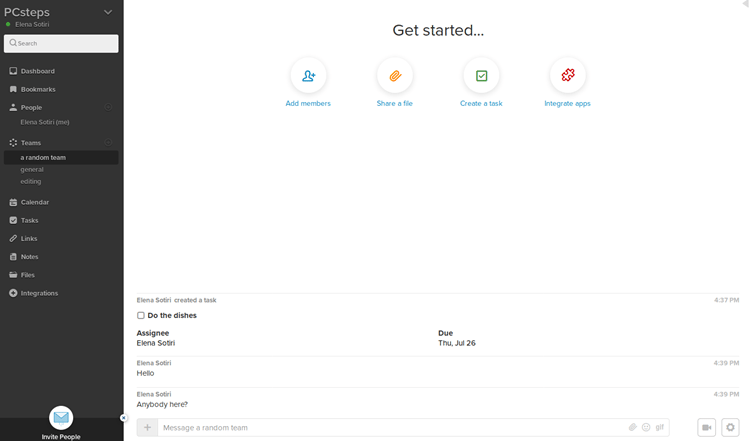 The first thing we see when we log into the service is the Activity Stream, where admins and users can post messages, create tasks and events, publish polls, and more. Each post has its own space on the Activity Stream, and any user can comment, like, follow the post, etc. Of course, there's also a chat and call panel, but it is more like a popup than a separate tab. This might be a bit frustrating for those that want an app primarily for the chat. On the main screen, we can also find and integrate calendar and webmail services, manage our employees, create workgroups, and so on. Bitrix24 is free for 12 users, with 5GB of storage space. If we want more users and space, we will need to upgrade on a paid plan that starts from $39 per month. 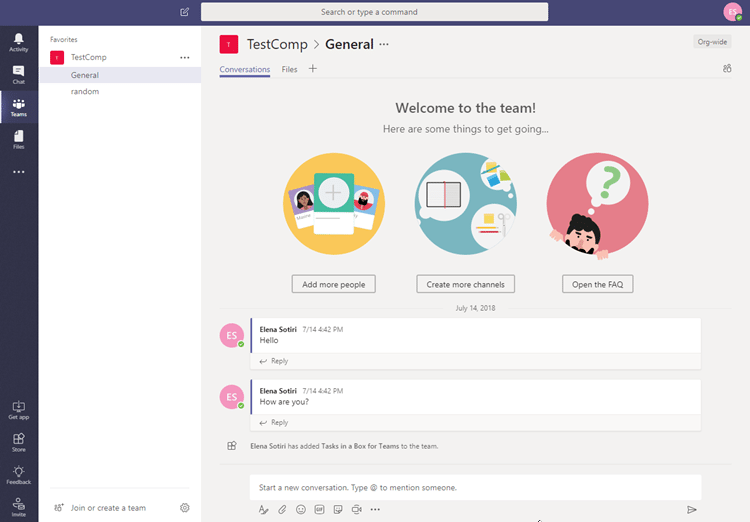 If you are using Office 365, then Microsoft Teams may be the collaboration app you need. Microsoft Teams integrates fully with all Microsoft products, but that's not the only reason to consider using the service. The app feels very productive, with the team, chat, and activity streams on the left. There is no calendar or other task features; Microsoft Teams is as simple as it gets. We can use the app for free, with unlimited search history, 300 users, 2GB of personal storage and up to 10GB of shared storage. This is probably one of the most apparent Slack alternatives - previously known as HipChat. If you happen to use other Atlassian software - the company behind Stride - like Trello and Jira, then this is the app for you. Or was, because Hipchat and Stride will be discontinued after February 15th, 2019. Atlassian and Slack have forged a new partnership. 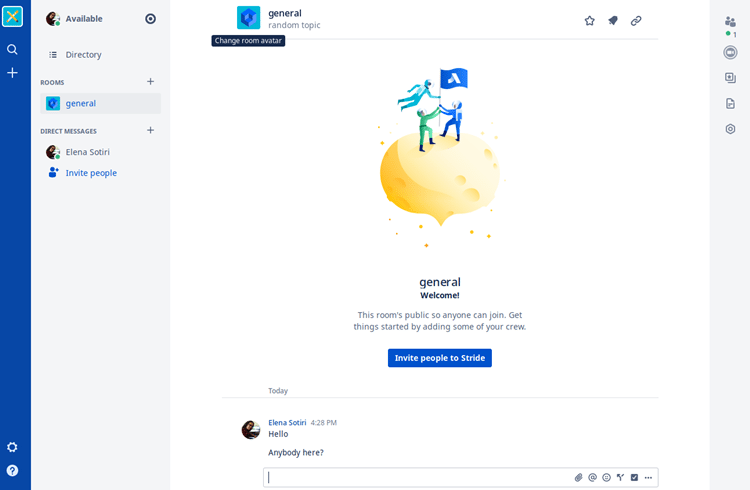 If you are using Stride or Hipchat, and you're not into any of the Slack alternatives we mentioned above, then Atlassian provides to all customers a migration path to Slack. Besides ready-to-use services like the ones we described above, there are also some open source and self-hosted solutions we can use as Slack alternatives. 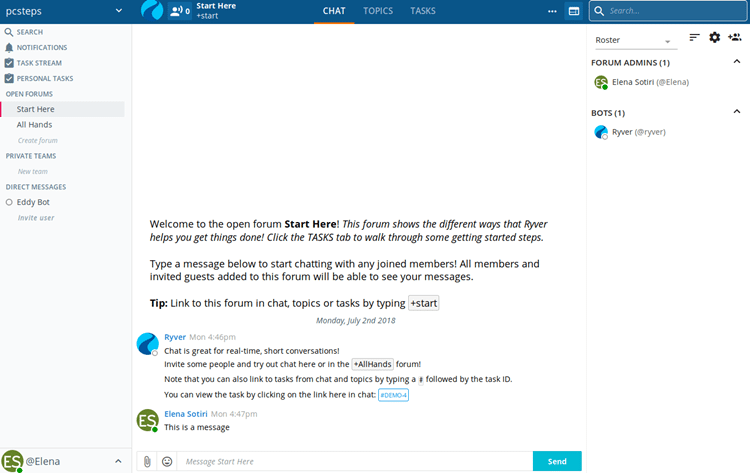 With a self-hosted service, we can customize our chat interface and features based on our team's needs. If you really like Slack, then you will love Mattermost. The service is very similar to Slack, except that you'll need to install it in your own servers. 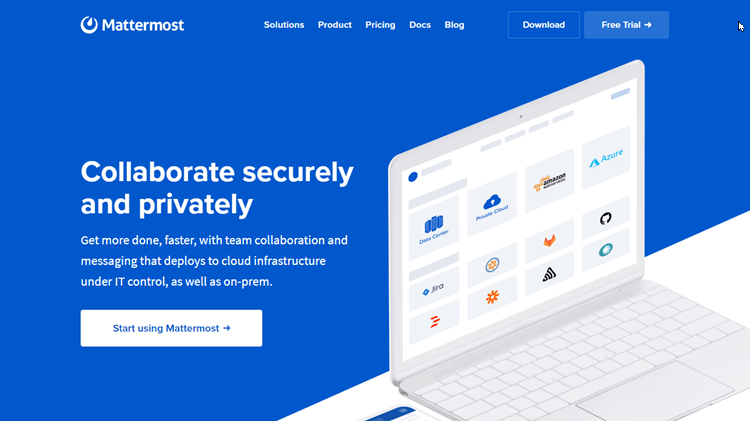 The good news is that the installation is user-friendly; there's also a great tutorial on Mattermost's website that will help us get started. 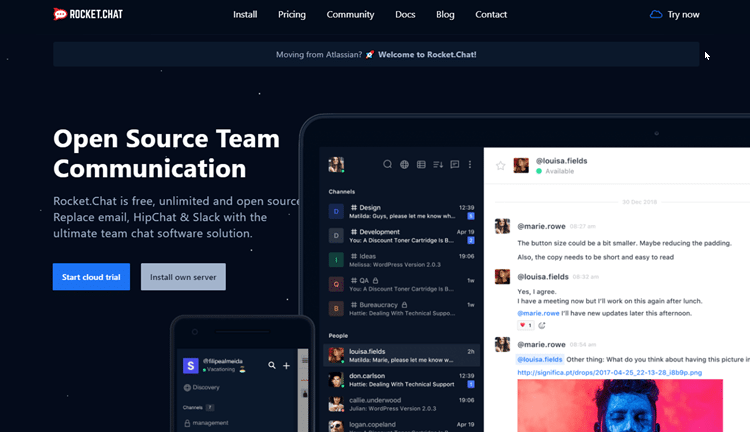 Rocket.chat is another self-hosted collaboration tool; it packs everything that Slack has, plus it is free for anyone to use. Rocket.chat's community consists of hundreds of developers that contribute to the project, making it extremely popular to those that don't want to pay for premium features on other platforms. It is also easy to install and set up, which makes it a perfect candidate for those that don't have previous experience with server installations. Slack is the world's top collaboration tool, and there's a good reason behind this; it's easy to use, reliable, and free for the bare minimum features a small company may need. Thus, maybe you don't need to look any further than that. 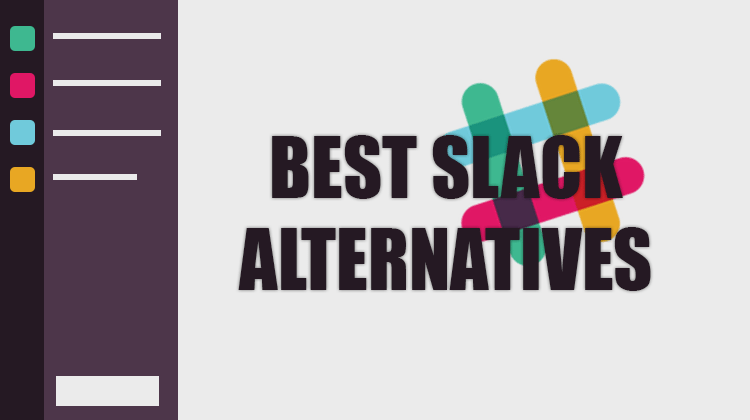 However, if for any reason Slack doesn't fit the bill for you, feel free to check out the Slack alternatives we describe above. How about you? Do you use Slack or any similar software for your team communications? Leave a comment below.